The following selection focuses on several artifacts that were designed and used for intelligence operations during the twentieth century. 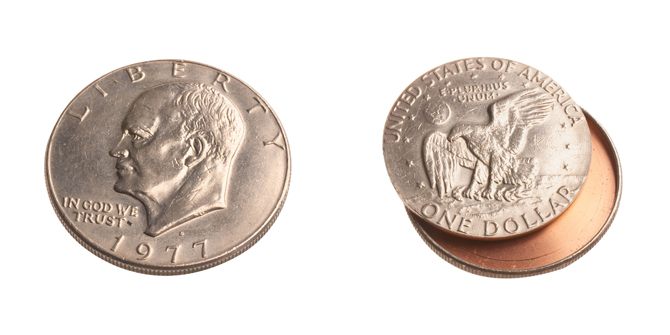 This coin may appear to be an Eisenhower silver dollar, but it is really a concealment device. It was used to hide messages or film so they could be sent secretly. Because it looks like ordinary pocket change, it is almost undetectable. 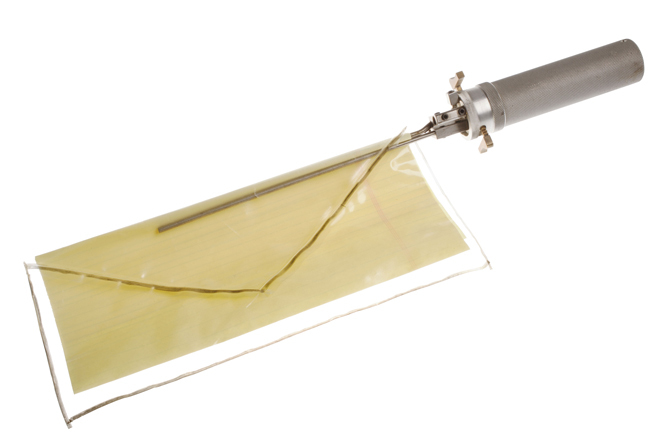 Special devices were used in World War II to take letters from their envelopes without opening the seals. 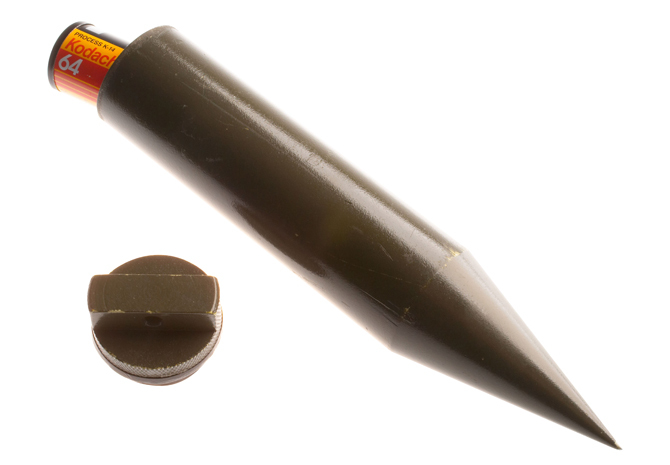 The pincer-like device was inserted into the unsealed gap at the top of an envelope flap. One could then wind the letter around the pincers and extract the letter from within. CORONA is America’s first successful photographic reconnaissance satellite. When introduced in the 1960s, it revolutionized the collection of intelligence. CORONA’s first mission in August 1960 provided more photographic coverage of the Soviet Union than all previous U-2 missions. 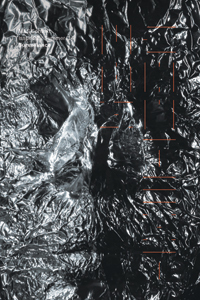 Satellite imagery was used for a variety of analytical purposes— from assessing Soviet military strength to estimating the size of their grain production. CORONA and its successors made Soviet-American strategic arms control agreements possible. 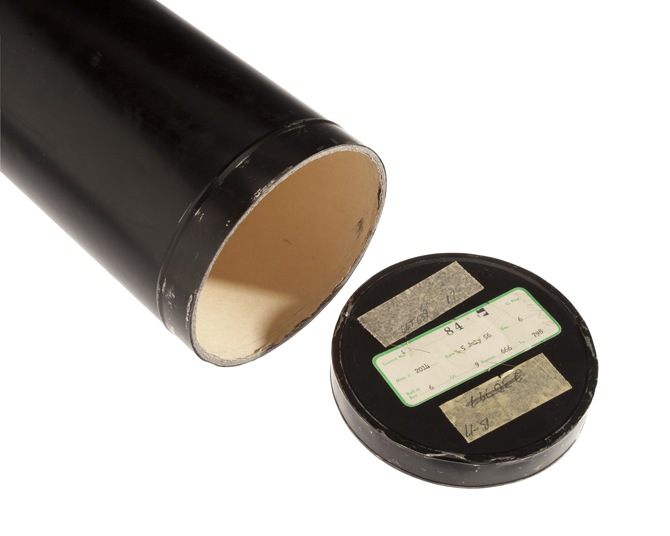 A subminiature radio receiver is concealed in this modified pipe. The user hears the sound via “bone conduction” from the jaw to the ear canal. 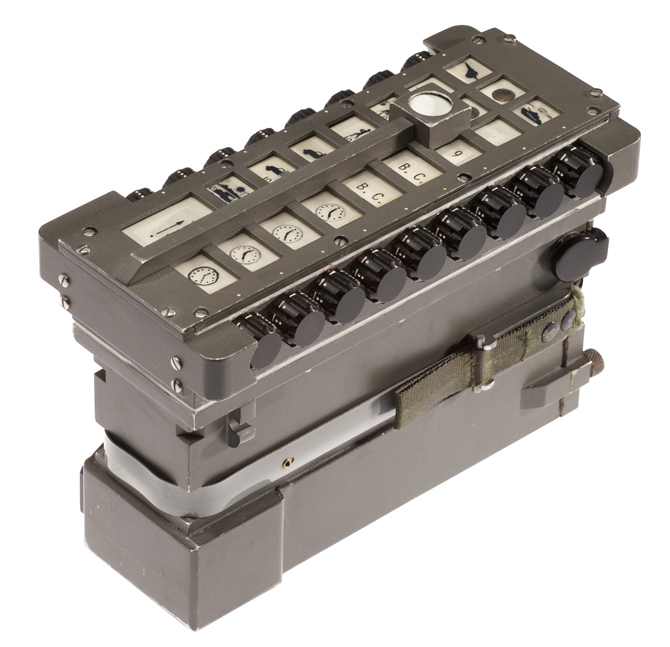 The M-209 is a mechanical cipher device. Designed by Boris Hagelin, the machine was widely used by the US Army during World War II. 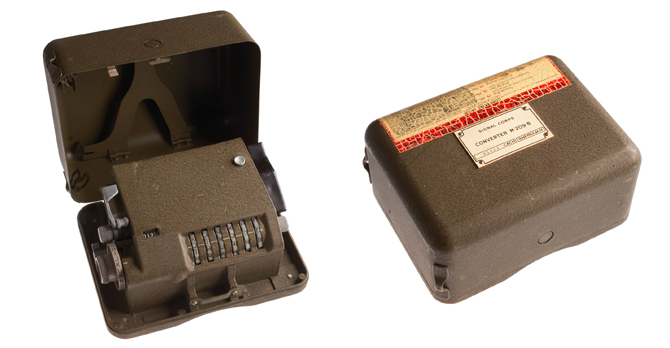 Compact and portable, it used a series of rotors to encode and decode secret military messages. A code is a system of communication in which groups of symbols represent words. Codes may be used for brevity or security. 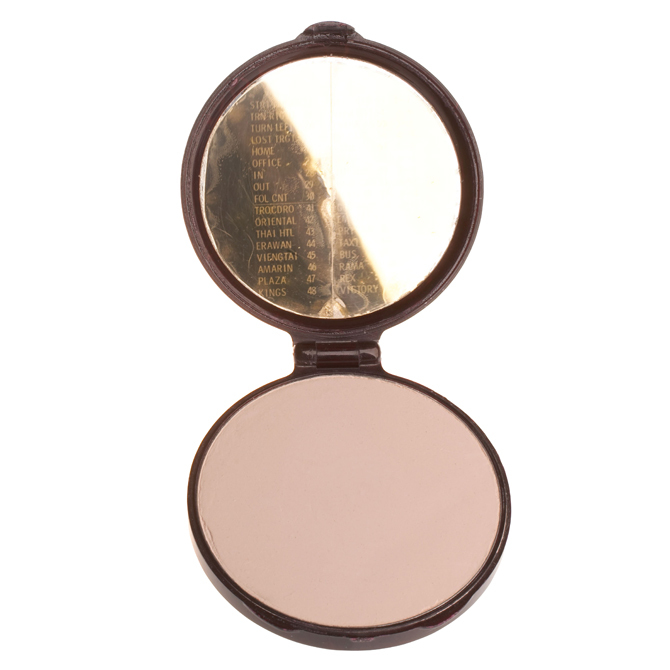 Here, a code is concealed inside the mirror of a lady’s make-up compact. By tilting the mirror at the correct angle, the code is revealed. One-time pads (OTP) are used to encode/decode agent communications. They are issued in match-ing sets of two: one for the encoder and one for the decoder, and no two pages are alike. Each sheet contains a random key in the form of five-digit groups. 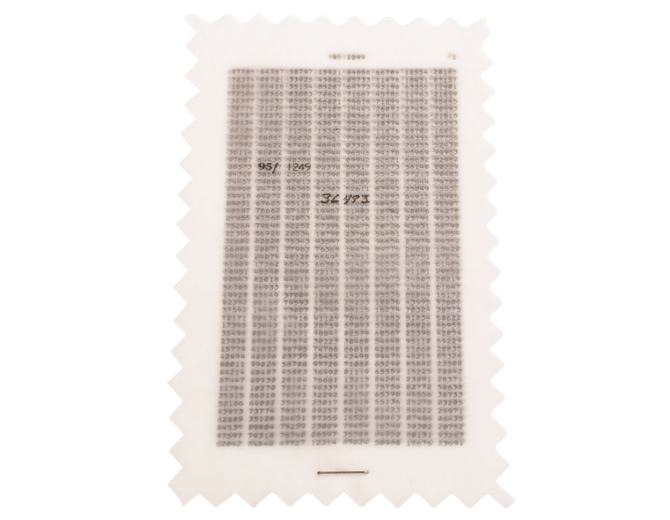 Once a sheet has been used to encode a message, it is torn off the pad and destroyed. If used as designed, encryption by OTP is virtually unbreakable. Communication between an agent and his/her handler always poses a risk. A “dead” drop allows secure communication by one person leaving and later the other person picking up material at a prearranged location. 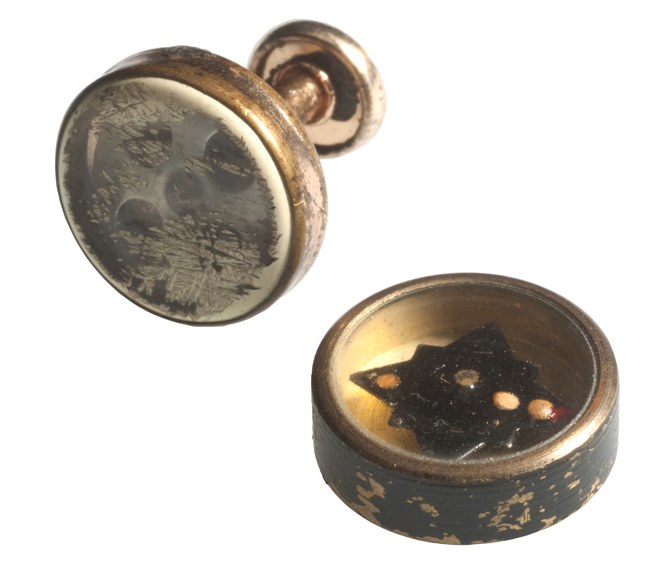 This eliminates the need for direct contact. 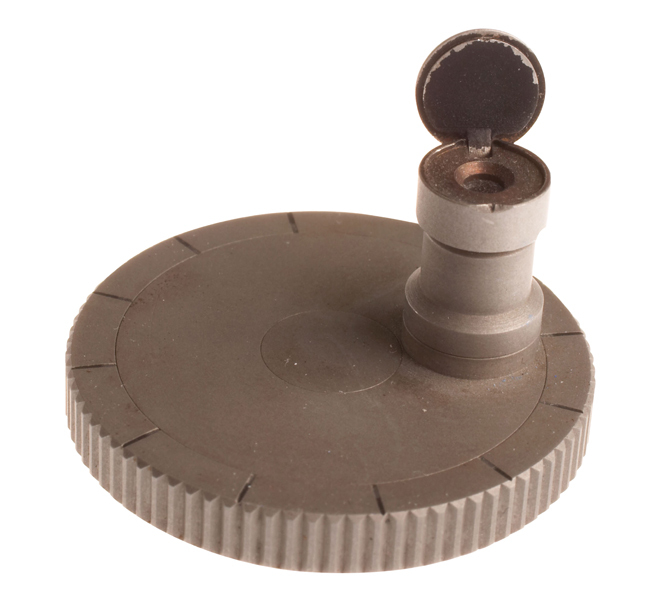 This device is a spike that one could push into the ground. It is hollow in the middle and could contain messages, documents, or film. An intelligence officer’s clothing, accessories, and behavior must be as unremarkable as possible — their lives (and others’) may depend on it. This is a responsibility that operational artisans, technicians, and engineers of the Office of Technical Readiness (OTR) take seriously. America’s intelligence officers can safely collect intelligence in hostile environments because they know that quality and craftsmanship have been “built in” to their appearances, leaving no traces to alert the enemy. 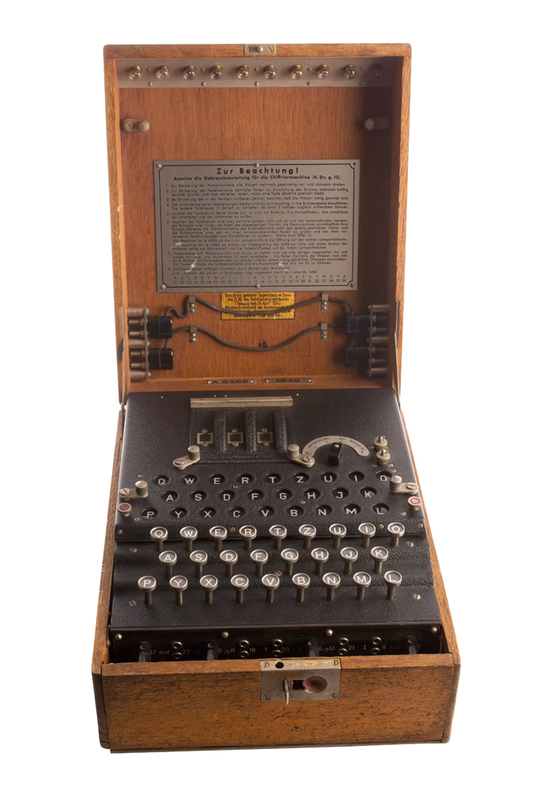 During World War II, the Germans used the Enigma, a cipher machine, to develop nearly unbreakable codes for sending messages. The Enigma’s settings offered 150,000,000,000,000,000,000 possible solutions, yet the Allies were eventually able to crack its code. By end of the war, 10 percent of all German Enigma communications were decoded at Bletchley Park, in England, on the world’s first electromagnetic computers. 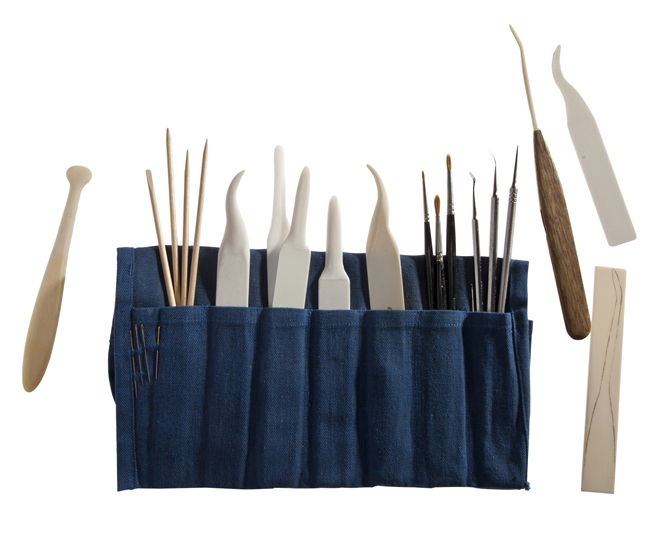 In this “flaps and seals” kit for advanced users, tools handmade of ivory in a travel roll were used for the surreptitious opening of letters and packages during the 1960s. Miniature spring-wound 35-mm film camera in a modified cigarette pack. The Tessina’s small size and quiet operation provided more options for concealment than most commercially available models. 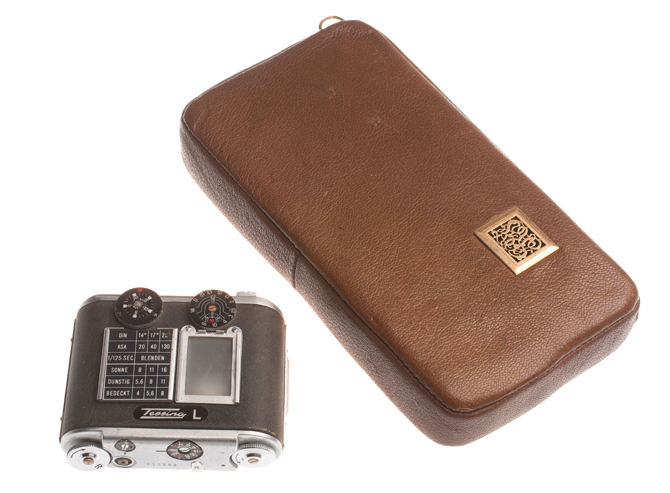 A miniature 35mm film camera manufactured in Switzerland is concealed in this modified tobacco pouch. 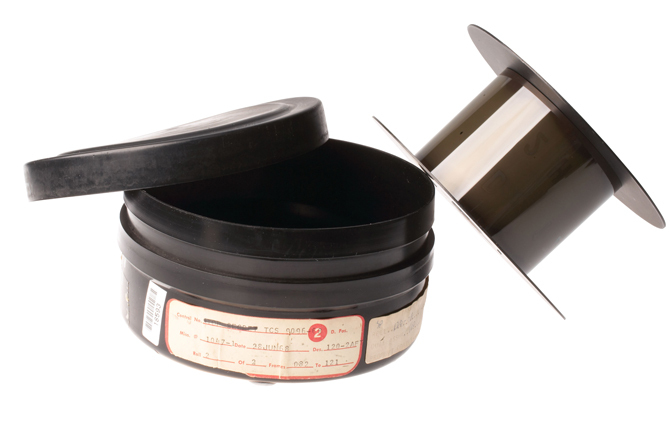 A spring-wound mechanism advances the film between exposures. 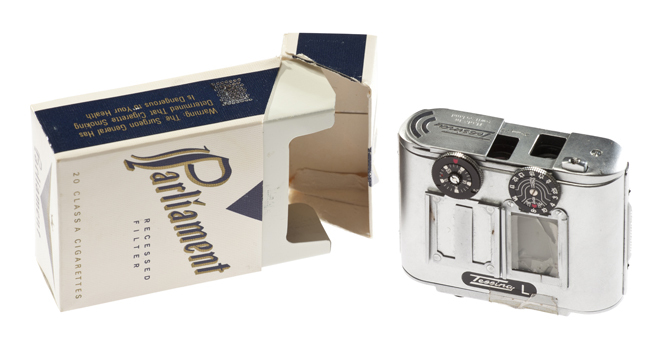 The Eastman Kodak Company developed and manufactured this camera for use by the Office of Strategic Services (OSS). It was made in the shape of a matchbox of that era. It could be disguised by adding a matchbox label appropriate for the country in which it was to be used. This subminiature camera isn’t much larger than its film cassette. 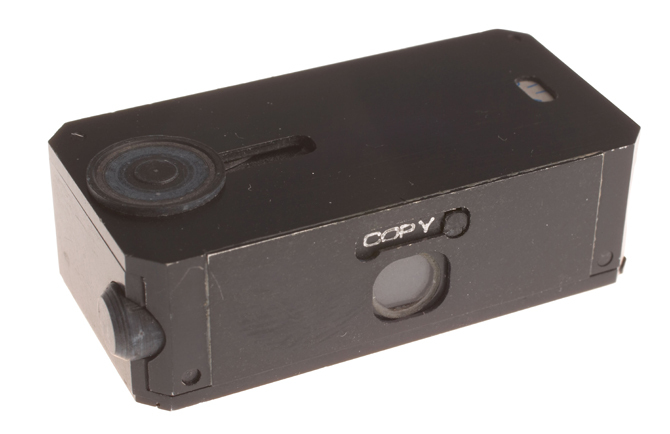 It could be used to photograph both documents at close range and building sites at a distance. Walter Zapp, a Latvian engineer, developed a portable camera that would fit easily into the palm of the hand and yet take high quality, spontaneous pictures. 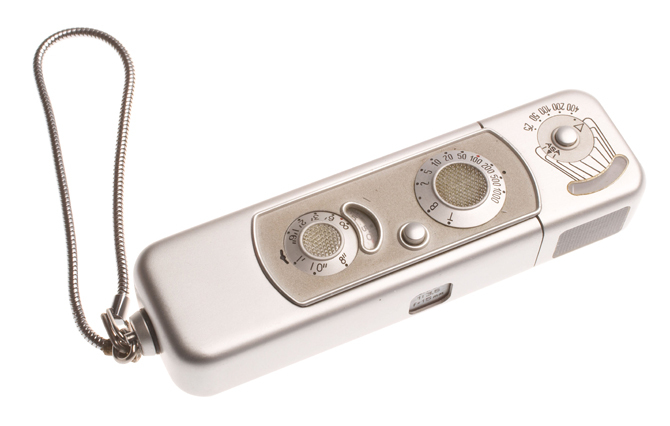 The Minox subminiature camera, in its various models, was the world’s most widely used spy camera. When it first became available, the camera was considered a marvel of technology; it was originally made from steel in Riga from 1937-1944. 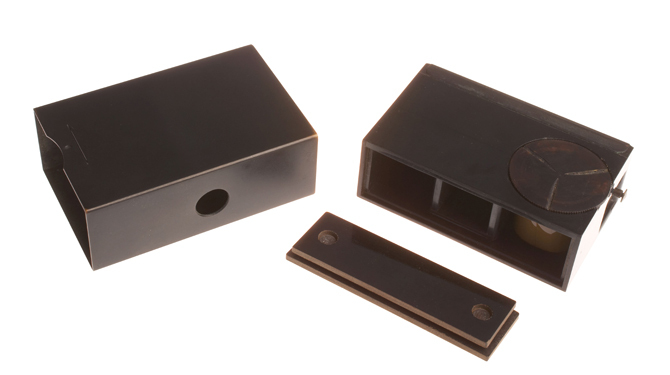 The Dynazoom was a state-of-the-art device for stereo viewing of satellite and aircraft film in the 1960s and 1970s. 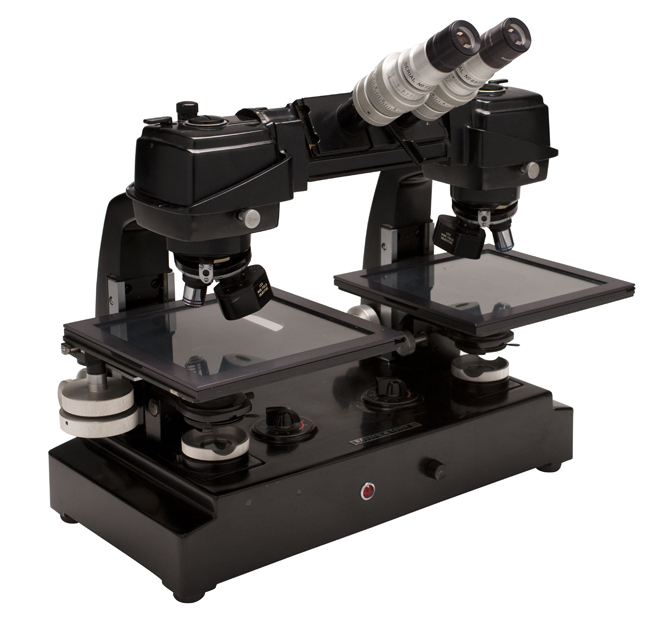 It optically couples two commercial microscopes capable of magnifications up to 300x. Using these tools, analysts could extract maximum intelligence from stereo image pairs—but setup was not easy. 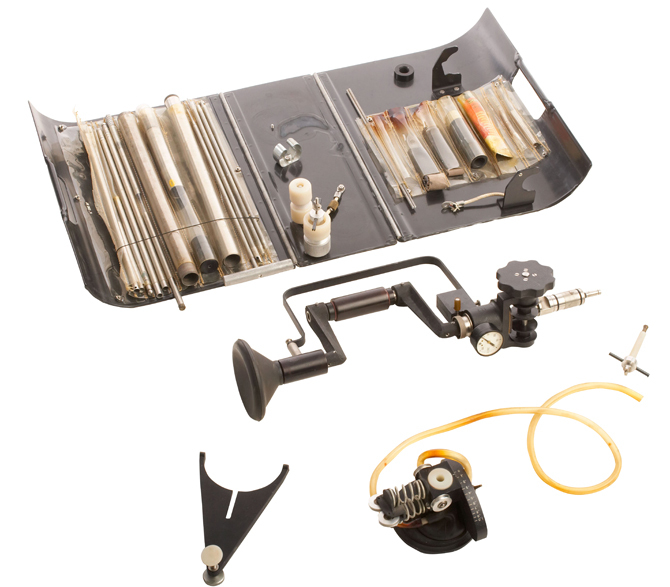 Unlike today’s highly automated stereo viewing of digital imagery, analysts had to manually and painstakingly align film and adjust the microscopes to view images in stereo on the Dynazoom. 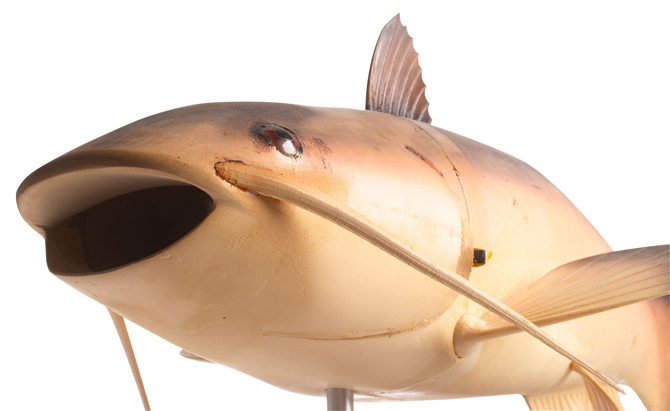 CIA technicians invented and used this unusual device in the 1960s to keep track of the enemy in Southeast Asia. The mission was to count people and supplies moving down the Ho Chi Minh Trail from North Vietnam to South Vietnam along the borders of Laos and Cambodia. Many of the Laotian trail watchers whom CIA recruited could not read or write, let alone understand English. And so the device featured “pictograms,” such as symbols representing troops, trucks, motorcycles, carts, bicycles, tanks, cannons, small artillery, missiles, donkeys, and yes, occasionally elephants, a common beast of burden in Laos. Alongside each pictogram was a knob that could be set to a number, and then the data could be transmitted to an airplane by activating a toggle switch. 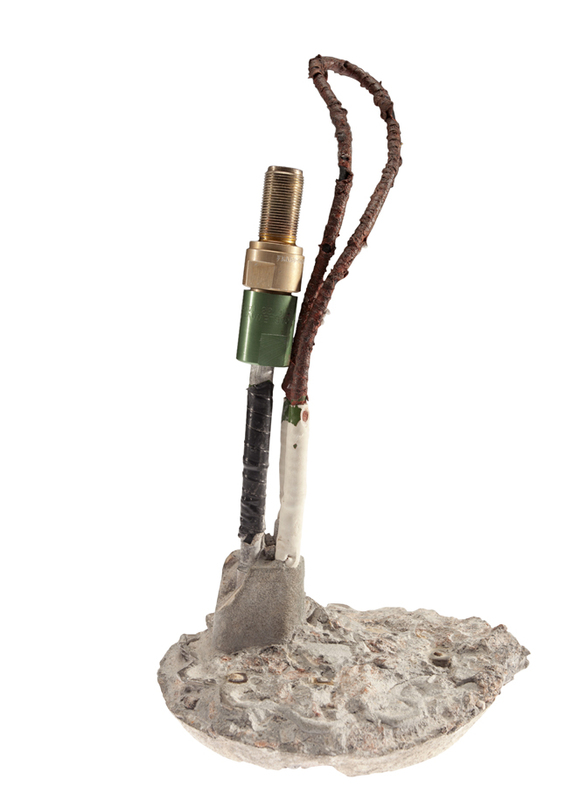 What looked like a concrete ball was actually a “gap-jumping antenna” removed from one of the preformed concrete columns in the embassy office building. US investigators called it “gap-jumping” because it coupled magnetically with a matching antenna in the adjacent column. This allowed data to be transmitted without a physical electrical connection. 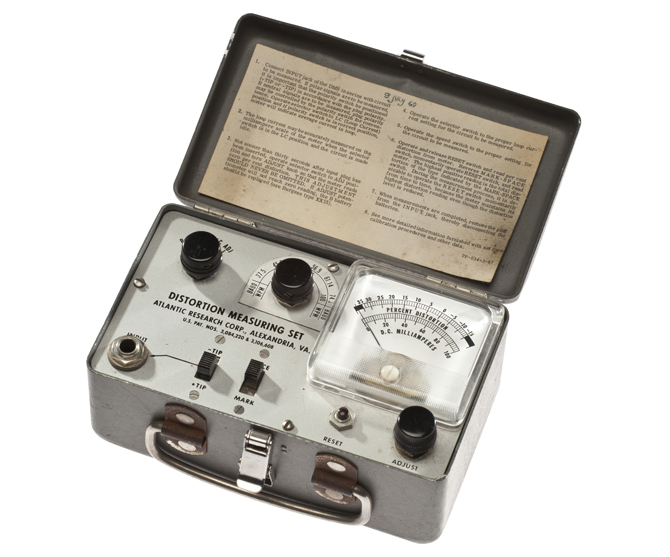 Atlantic Research Corporation’s distortion measuring set was used to analyze the percentage of distortion on a communications circuit in Bangkok. CIA’s Office of Advanced Technologies and Programs developed the Unmanned Underwater Vehicle (UUV) fish to study aquatic robot technology. The UUV fish contains a pressure hull, ballast system, and communications system in the body and a propulsion system in the tail. 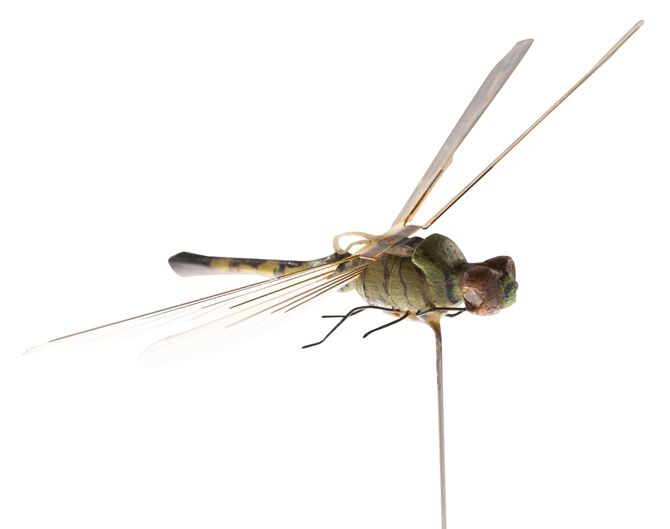 It is controlled by a wireless line-of-sight radio handset. 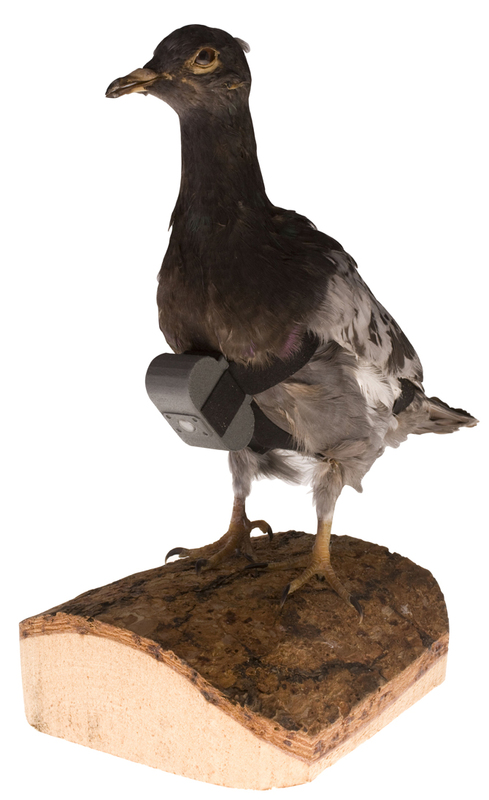 CIA’s Office of Research and Development developed a camera small and light enough to be carried by a pigeon. It would be released, and on its return home the bird would fly over a target. Being a common species, its role as an intelligence collection platform was concealed in the activities of thousands of other birds. Pigeon imagery was taken within hundreds of feet of the target so it was much more detailed than other collection platforms. 1. 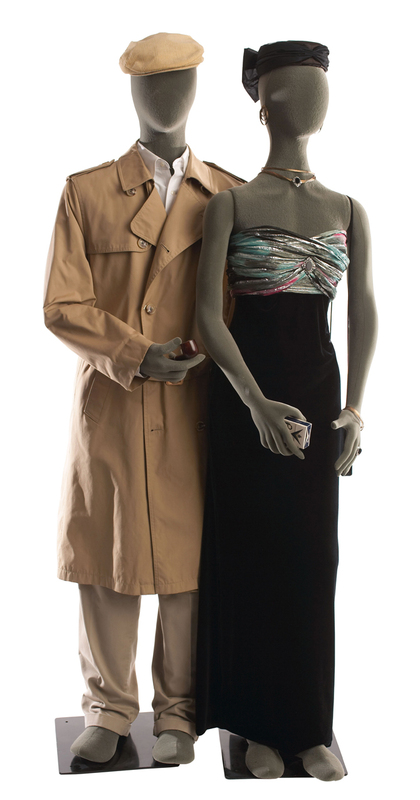 “CIA Museum,” Central Intelligence Agency, accessed May 19, 2014, cia.gov/about-cia/cia-museum. The Central Intelligence Agency (CIA) is an independent U.S. Government agency responsible for providing national security intelligence to senior US policymakers. The Director of the Central Intelligence Agency (D/CIA) is nominated by the president with the advice and consent of the Senate. The Director manages the operations, personnel, and budget of the Central Intelligence Agency. The CIA is separated into four basic components: the National Clandestine Service, the Directorate of Intelligence, the Directorate of Science & Technology, and the Directorate of Support. They carry out “the intelligence cycle,” the process of collecting, analyzing, and disseminating intelligence information to top US government officials.